Duration: 2 days 1 night. Full Board Plan. Children: 3-8 yrs old. $120 USD. Infants: 0-2 yrs old. $45. Morning Tour Enjoy nature at its best as you undertake a journey through the canals at dawn, and take your best shots of a real Caribbean sunrise. 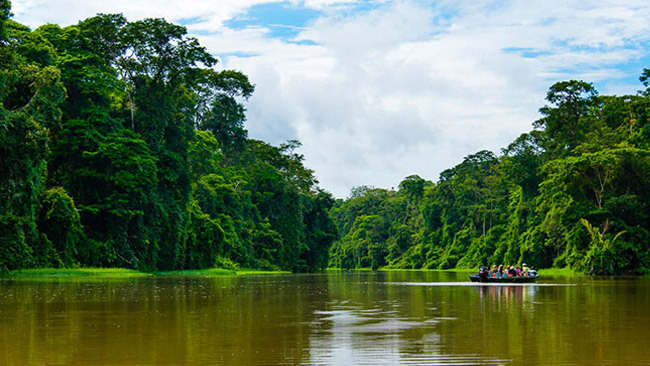 Admire the beauty of Tortuguero National Park. You will see on this tour, animals, abundant wildlife, rainforest like nowhere else. After this impressive morning journey back to San Jose, or ask about our connections to Arenal, or the Southern Caribbean. One-night accommodation/room in Tortuguero. Hotel Pachira, Aninga Lodge, Lodge Evergreen Lodge, Laguna Lodge. What to Bring: Bottled Water, Hat, Light Clothes, Camera, Sunblock, Sweater for Return, during the rainy season rain coat or umbrella, mosquito repellent.